Book Trailer Reveal and Launch Party! I’m absolutely thrilled to share with you the book trailer for the THE PRINCESS AND THE PAGE! I’d love to hear what you think! 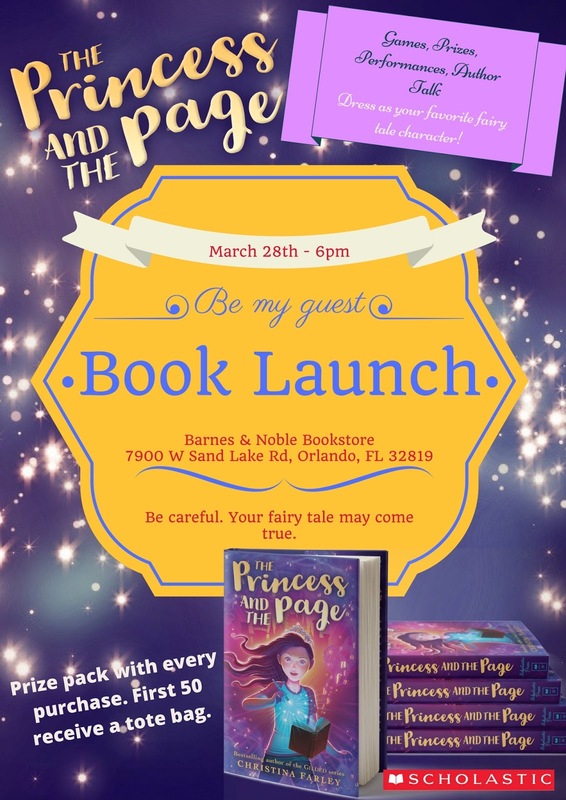 I also want to invite you to the book launch party for THE PRINCESS AND THE PAGE! It’s going to be amazing. We have performances lined up, games, prizes, and I’ll be sharing about the journey this book has taken me on. Plus everyone who attends will receive a gift pack and the first 50 people to purchase a book will get a tote as well! Dress up as your favorite fairy tale character. Can you guess what character I’ll be dressed up as?